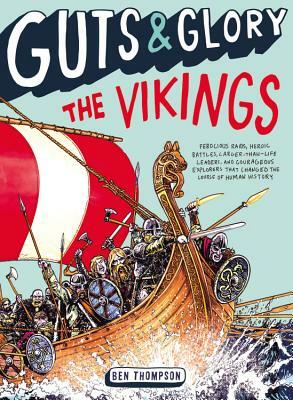 History buff and popular blogger Ben Thompson's lively storytelling style brings the Vikings back to life in this second book in the exhilarating Guts & Glory series! Ben Thompson is the author of Guts & Glory: The American Civil War and Guts & Glory: The Vikings. For more than ten years, he has been producing humorous, history-related material, including articles for publications such as Military Times and for organizations like the American Mustache Institute. Ben currently owns four swords (if you count a letter opener shaped like Glamdring the Foe-hammer) and can jump over most garbage cans in one leap. He lives in Washington and invites you to visit his website at gutsandgloryhistory.com.